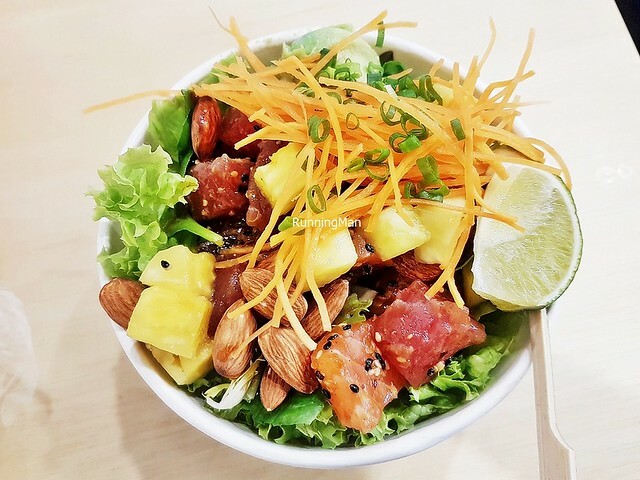 Aloha Poké was founded in October 2015, by 2 Singaporean couples who discovered a love for poké (pronounced 'poh-kay') while on vacation in Hawaii, United States Of America. 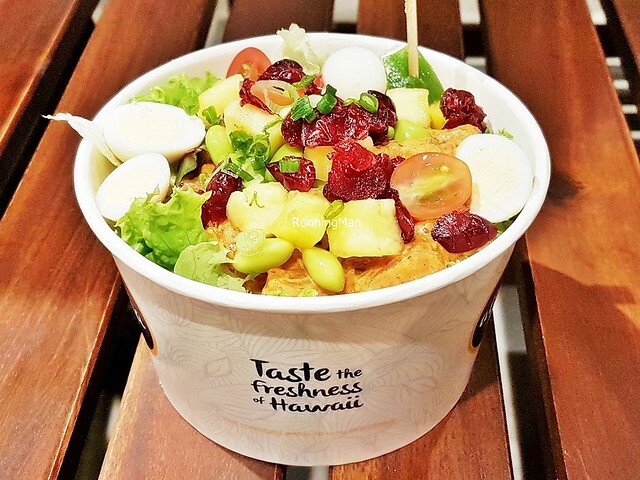 Bankers John Chen and Lee Yue Xian, Paladin Hsu and Selene Ong, were the 1st to introduce the concept of the poké bowl in Singapore, the signature dish of Aloha Poké, which is essentially a Hawaiian fish salad. 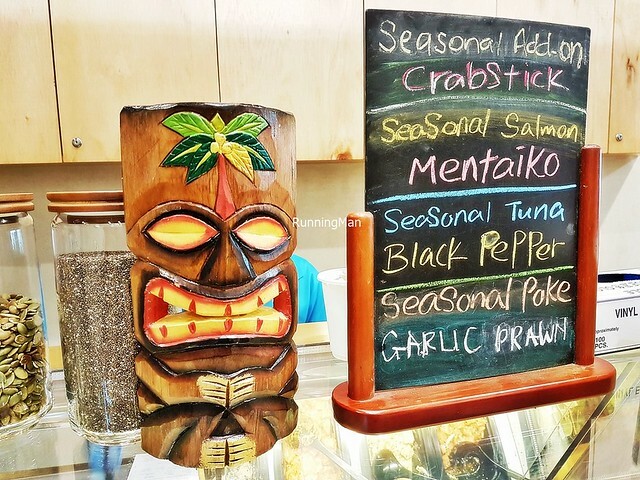 Ambience at Aloha Poké is modern functional. Across their outlets, the small floor space is neatly lined with sturdy wooden furnishings, with warm spot lights creating a mix of light and shadow. 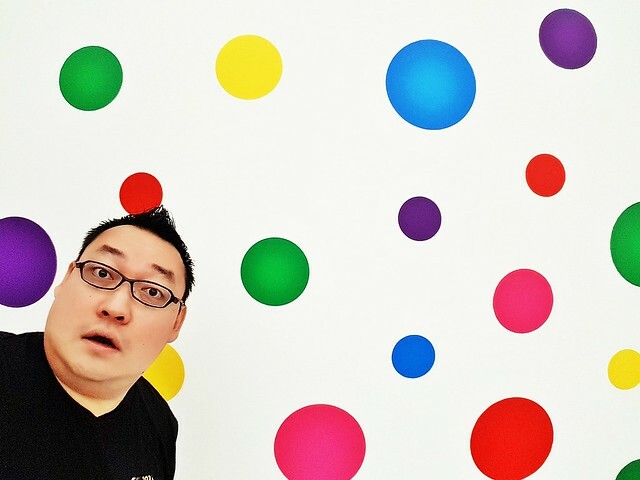 Rather relaxing, though the limited seating means lingering is best during non-peak periods. The island spirit vibe is channeled with retro Hawaiian posters and tiki figurines around the store. 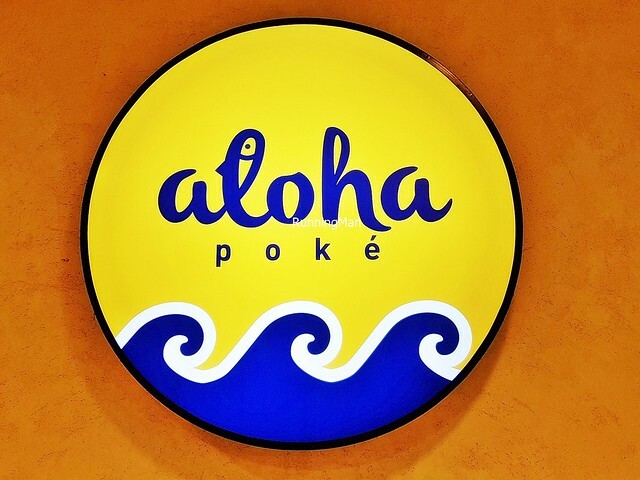 Service at Aloha Poké is completely self-service, from ordering, to payment, to collection of orders. Diners fill in an order form, which gets passed around by staff in the kitchen to prep each order. 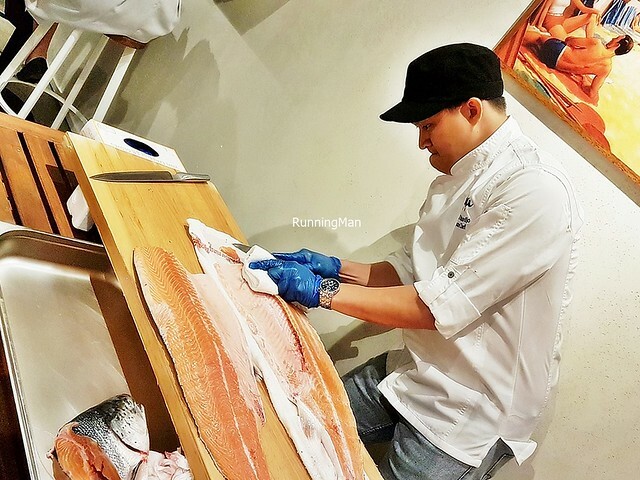 I find staff to be knowledgeable on the various ingredients here, able to offer recommendations. 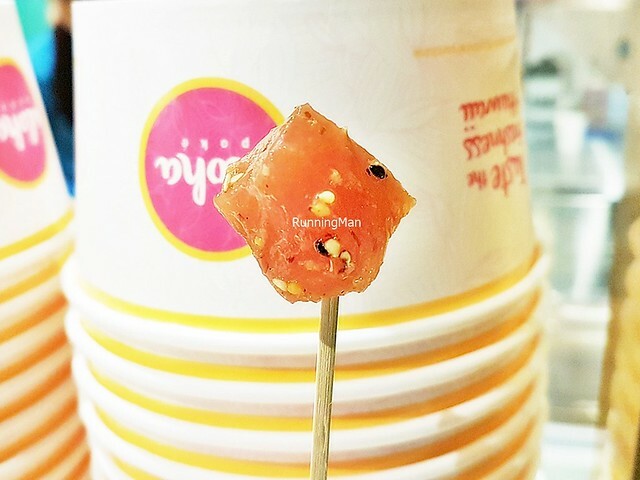 In addition, you can sample the poké (marinated raw fish) available, much like an ice-cream sample, which is a nice touch. Orders are prepared quickly, usually within 5 minutes. As the place is self-service, diners are encouraged to clear their tables as well. 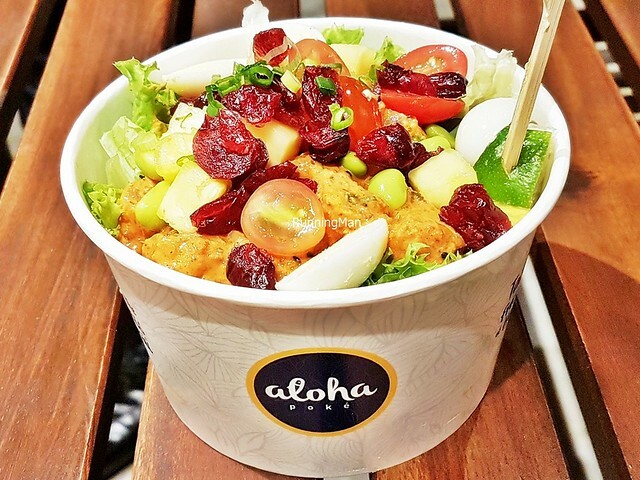 Food at Aloha Poké is focused on the Hawaiian fish salad, known as a poké bowl. 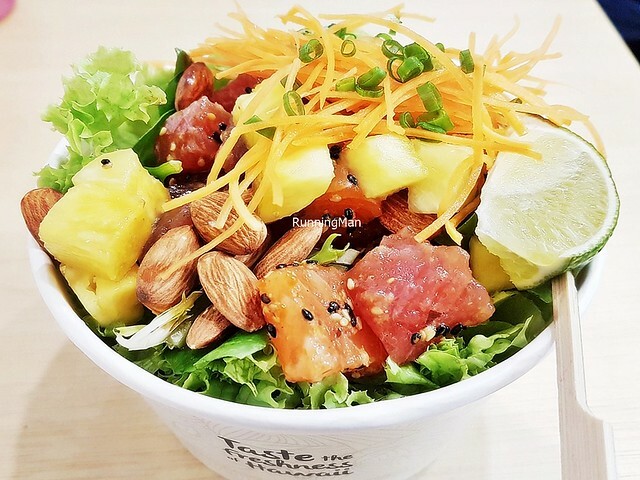 Traditionally, a poké bowl consists of raw yellowfin tuna fish, marinated in light soy sauce, green onions, sesame oil, limu / seaweed, sea salt, inamona / roasted crushed candlenut, and served over warm white rice. 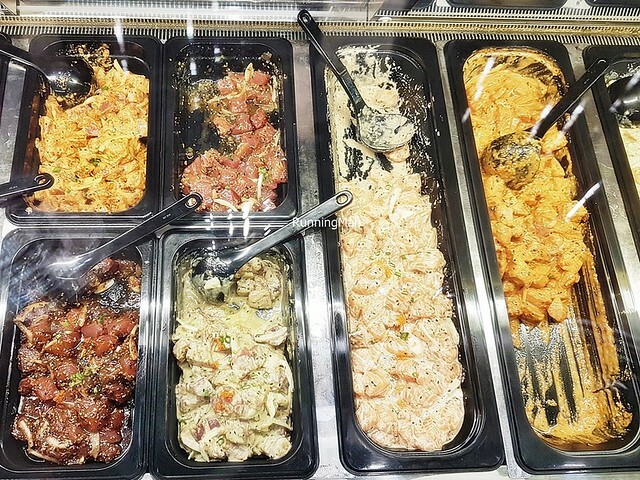 At Aloha Poké, they offer a choice of either yellowfin tuna fish or pacific salmon fish, with up to 4 different types of marinade available. 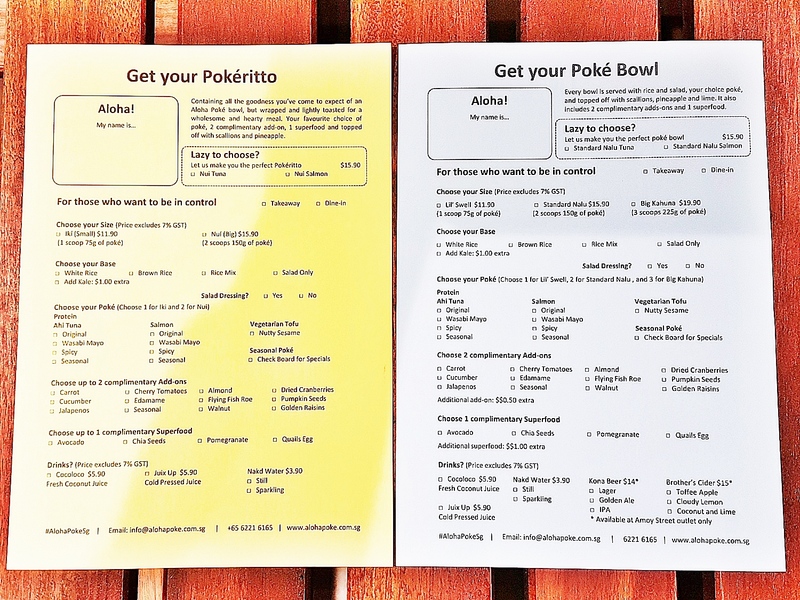 In addition, their poké bowl can be jazzed up with up to 18 different variety of ingredients. 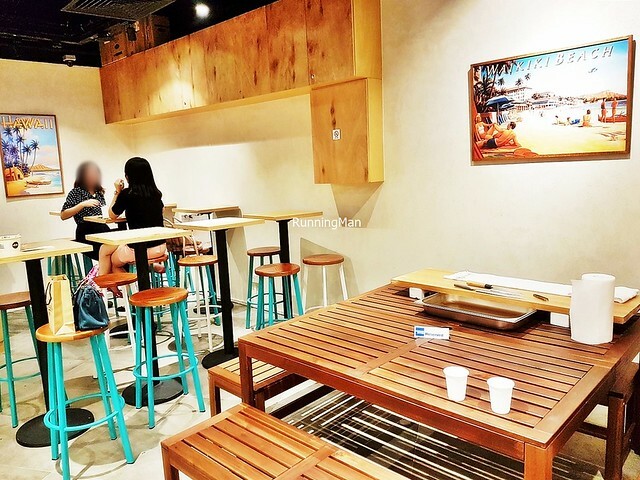 Portions are filling for individuals, and prices are considered mid-range, about the same as most cafes. Budget about SGD $23 per person for a meal with a drink here. 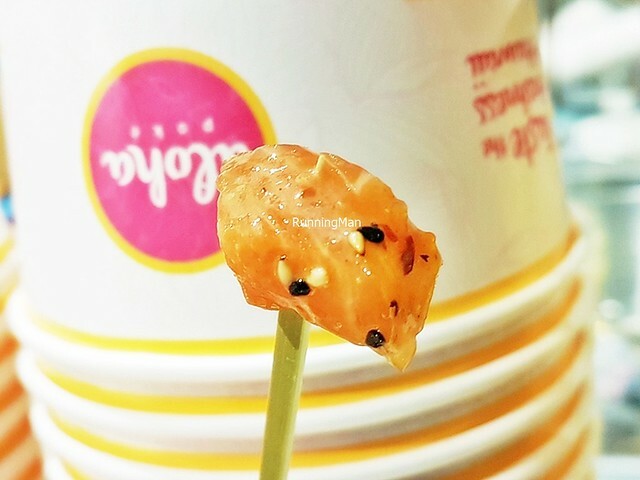 The Original marinade flavour here has either Yellowtail Tuna Fish or Pacific Salmon Fish, marinated in shoyu / Japanese light soy sauce, sesame sauce, spring onions, onions, and sesame seeds. 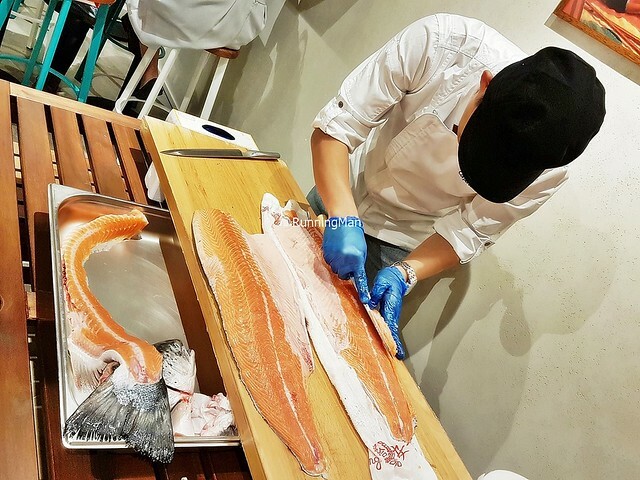 Love the bright freshness and bouncy texture of the fish, and the marinade lends a lovely savoury salty flavour that complements the natural sweet flavour of the fish. 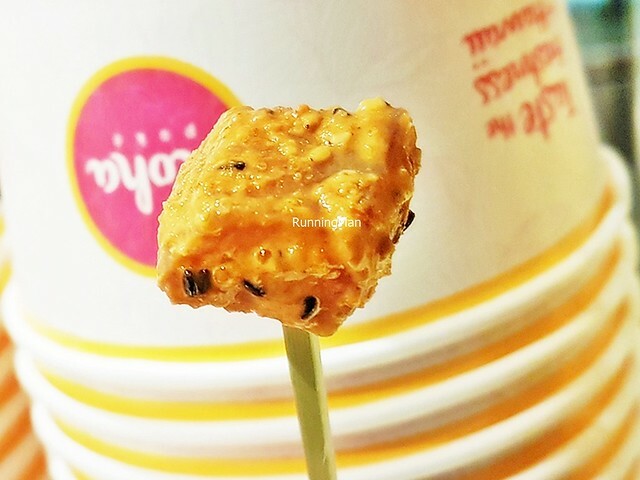 The Spicy marinade flavour has a sharp, fiery bite to it, with a short lingering burn. 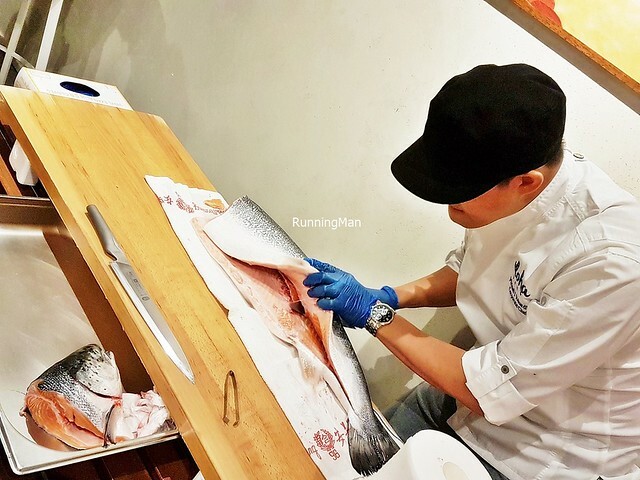 However, I like that it's balanced enough, such that it doesn't numb the mouth, allowing you to still taste the clean, natural flavours of the ingredients. 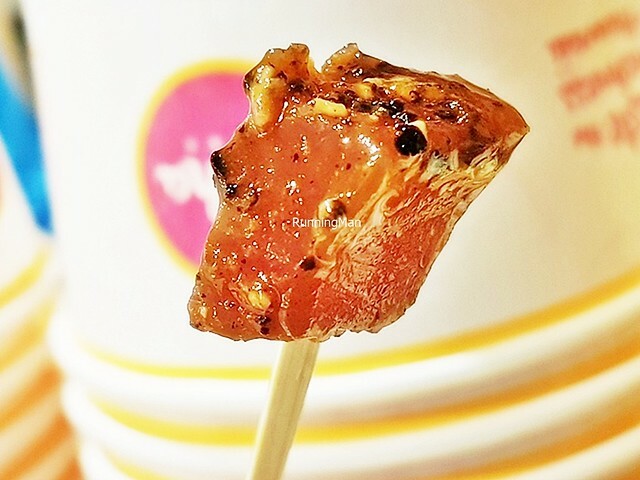 The Black Pepper marinade also has a sharp bite, but without a lingering burn. However, it gradually numbs the palate through the meal. 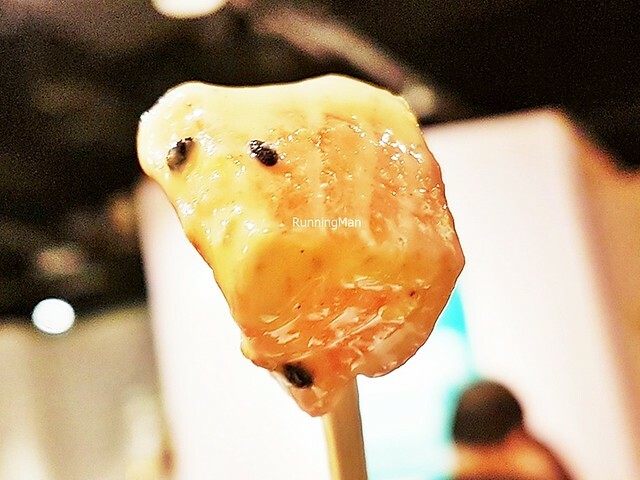 The Wasabi Mayo marinade also has a sharp bite, but feels more fresh and lively, not overpowering. 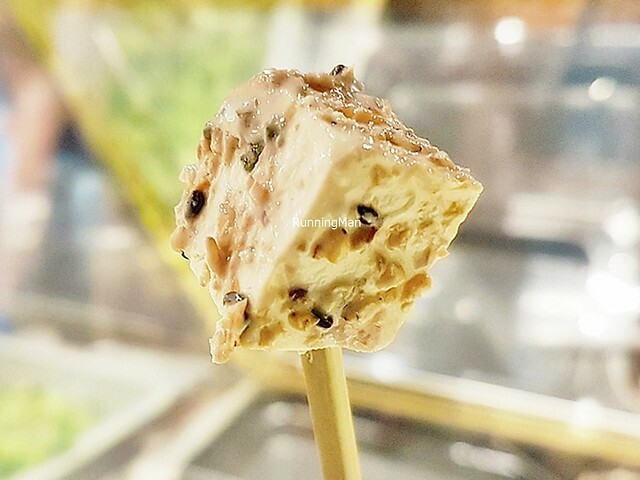 Vegetarians can go for the Marinated Tofu Beancurd option, which has tender cubes of tofu beancurd, marinated in a nutty sesame seed sauce, having a soft chew and a nutty earthy savoury sweet flavour. 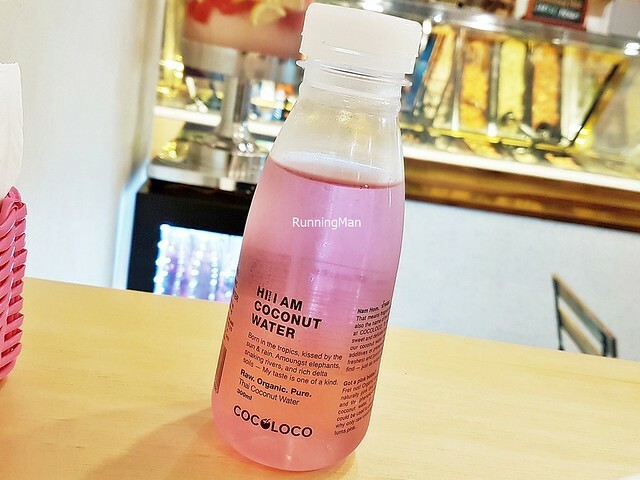 The CocoLoco (SGD $5.90) is an organic, unpasteurised, preservative-free, Thai coconut water beverage, very refreshing and lightly earthy sweet in flavour. With no added sugar, it feels healthy, and complements the food nicely. Good thirst-quenching properties, especially suitable for warm days. 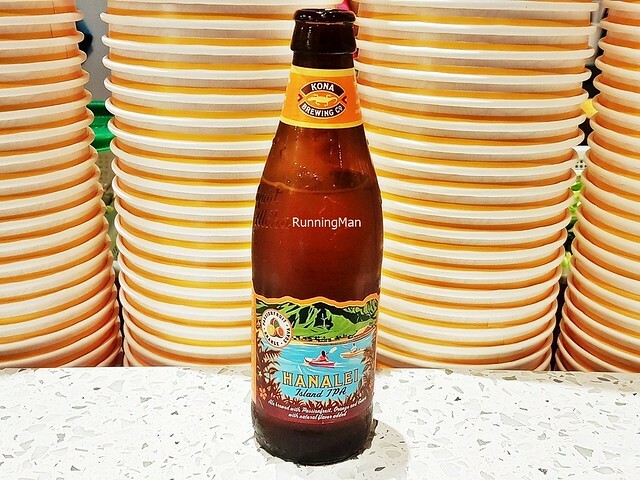 The Beer Kona Hanalei Island IPA (SGD $14) is an Indian pale ale, brewed by the Kona Brewing Company in Kailua, North Kona District, Hawaii, United States Of America. It has a cloudy orange golden colour with a thin foam head, and aromas of mango, apricot, orange, and biscuit. Body is medium-thin, lively, and bold, with tastes of peach, guava, passionfruit, and tangerine. Notes of tangy fruity sweet with strong bitter flavour, it has a moderately dry and short finish. 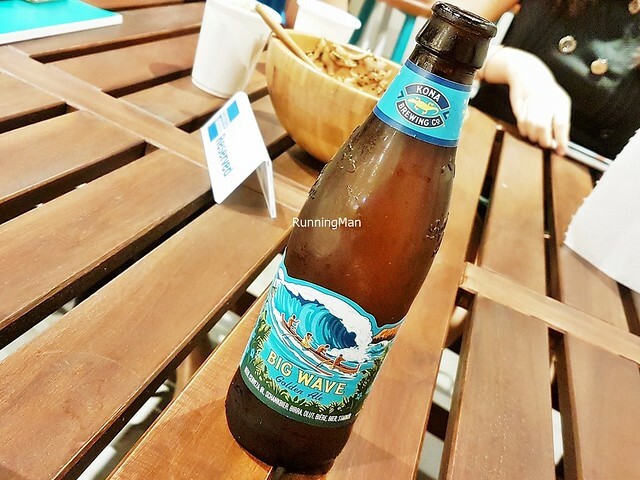 The Beer Kona Big Wave Golden Ale (SGD $14) is an American blonde ale, brewed by the Kona Brewing Company in Kailua, North Kona District, Hawaii, United States Of America. It has a light golden yellow colour with a slight foam head, and aromas of grass, lemon, hops, and honey. Body is very light, crisp, and refreshing, with tastes of pineapple, biscuit, wheat, and malt. Notes of delicate sweet bitter flavour, with a quick, short finish. Easy to drink and refreshing, but with little character or body. 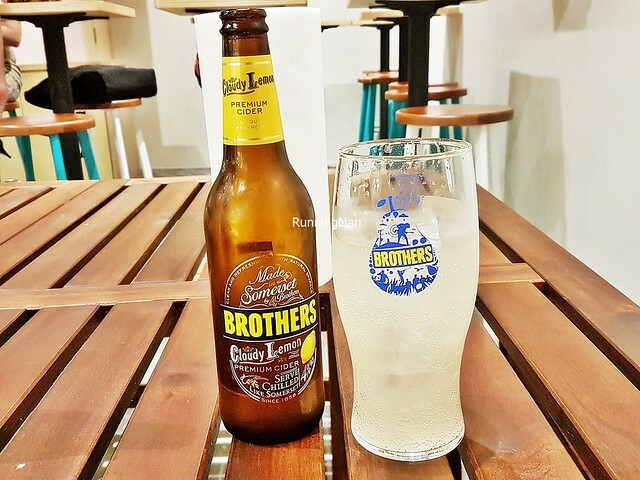 The Cider Brothers Cloudy Lemon (SGD $15) is a pear cider blended with lemon juice, brewed by Brothers Cider in Somerset, South West England, England, United Kingdom Of Great Britain And Northern Ireland. It's crisp and refreshing, the sour sweet zesty flavours make it rather addictive. 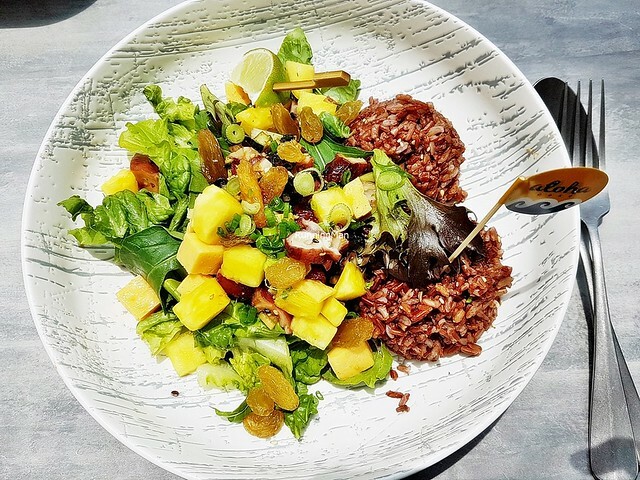 The standard poké bowl is a power meal of fresh crunchy lettuce, earthy spinach, juicy pineapples, white rice or brown rice, with a generous serving of sashimi grade, marinated yellowfin tuna fish or marinated pacific salmon fish, garnished with a wedge of lime. 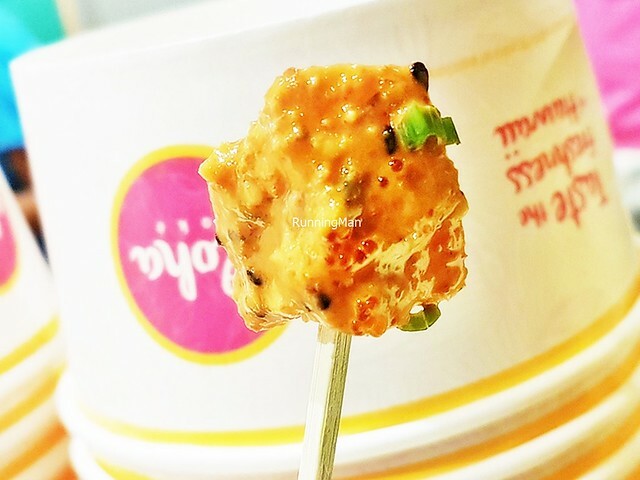 The Standard Nalu Bowl (SGD $15.90) - Original, comes with a choice of either fish, in the original marinade of shoyu / Japanese light soy sauce, sesame sauce, spring onions, onions, and sesame seeds. The typical add-on here includes tender carrot, crunchy almond nuts, and creamy avocado. I got a mix of white rice and brown rice, and a mix of both fishes. Highly recommended! 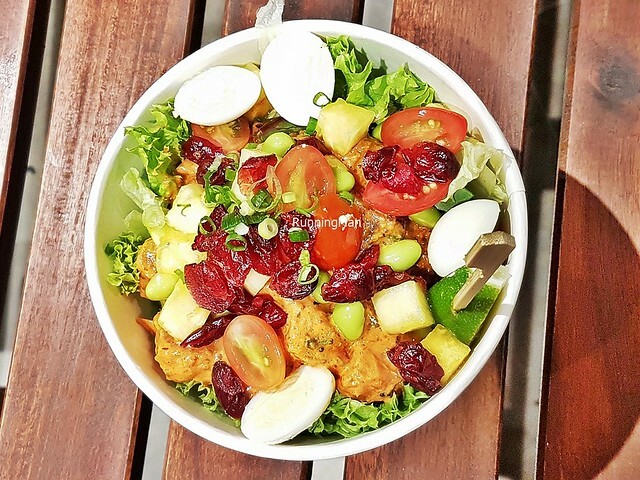 Also tried the Standard Nalu Bowl (SGD $16.40) - DIY, with both of the fish in the spicy marinade, along with juicy cherry tomatoes, chewy cranberries, firm edamame, and succulent quail egg. This has a wider range of taste and texture, while still remaining clean-tasting, sweet savoury, and so fresh and healthy. 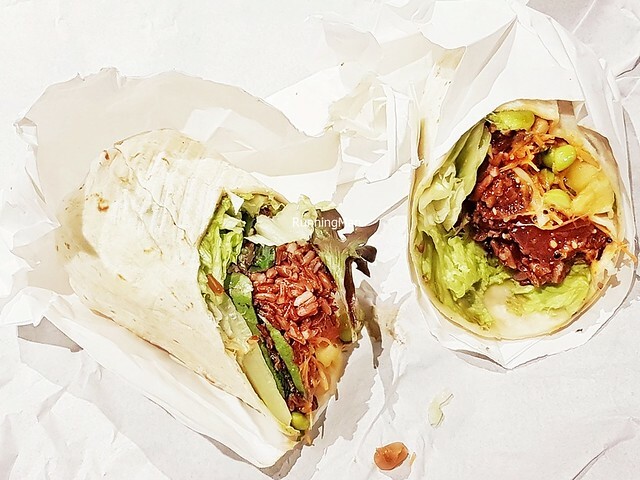 The latest poké offering that just launched at the newest outlet in CityLink Mall is the Pokéritto, a wrapped and lightly toasted bundle of deliciousness. 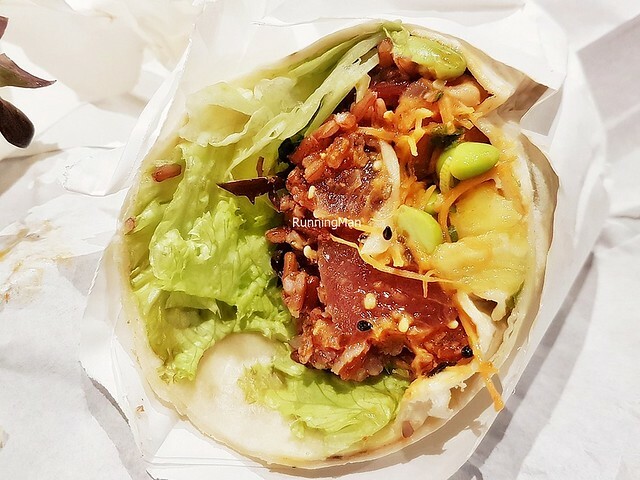 Think poké bowl, but in a portable, easy to eat, hand-held wrap. 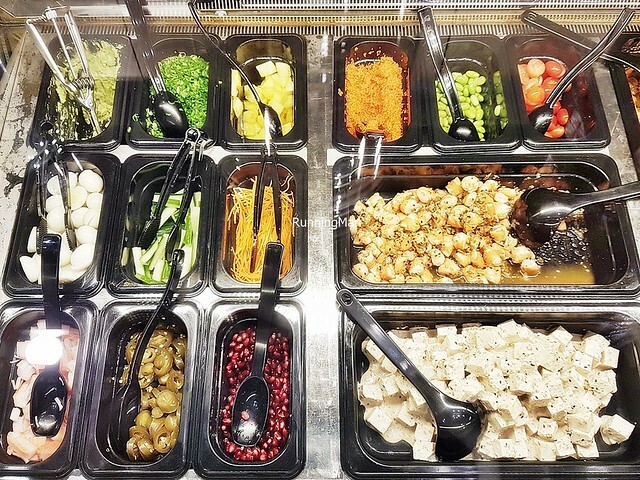 Diners can choose from the same wide variety of 18 different ingredients to customise their pokéritto. 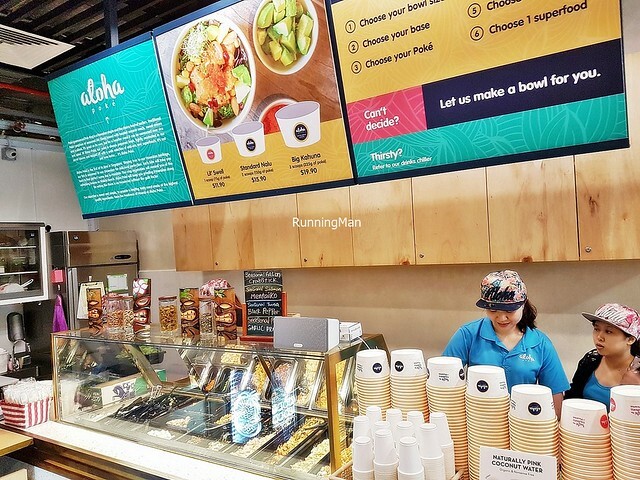 Got the Nui Pokéritto (SGD $15.90), with both fish (tuna and salmon) in the original marinade, along with a mix of rice, carrot, edamame, and chia seeds. Delicious, hearty, and filling, I find this much more convenient for take-away orders. Good! 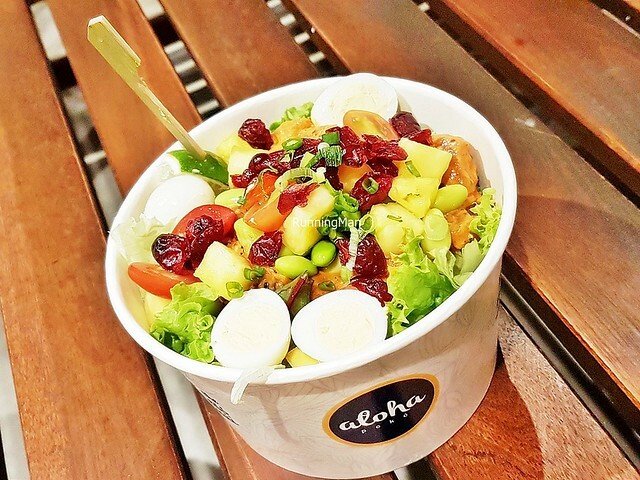 It's easy to fall in love with the fresh, clean flavours and vibrant colours of the poké bowls here at Aloha Poké. Since my initial visit, I've returned several times to Aloha Poké for more. 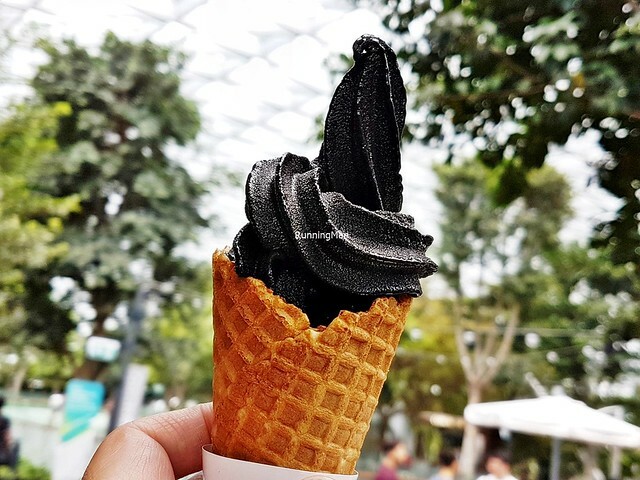 This is definitely a must-try, you won't regret it! 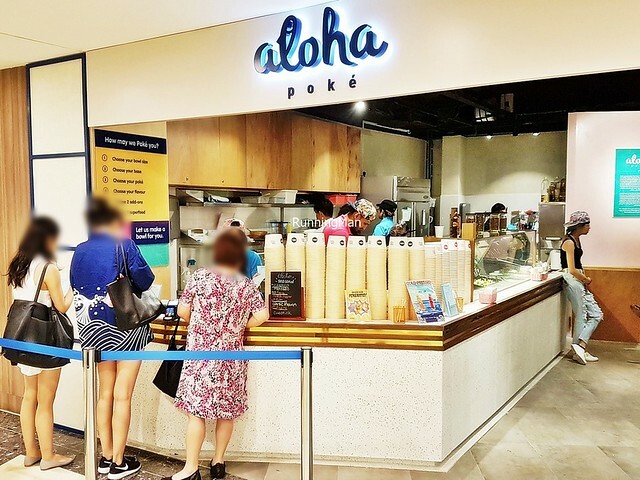 Update Apr-2019: Having visited Aloha Poké periodically over the last 3 years, I was excited to check out their latest outlet in Jewel Changi Airport. 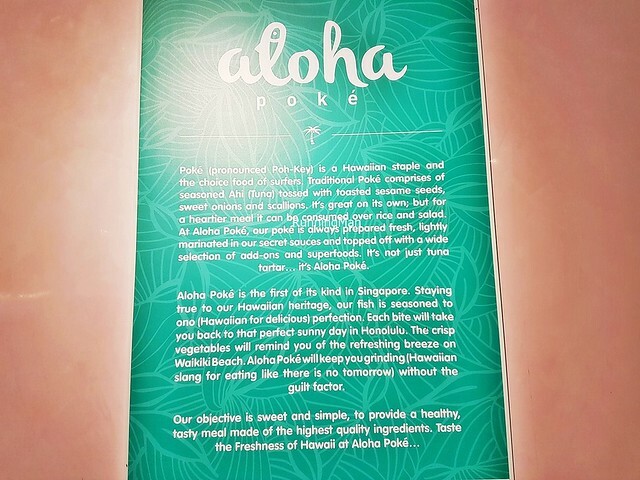 Here, Aloha Poké is launching a brand new menu, expanding into big plates and desserts, while still keeping the healthy, clean-eating theme. 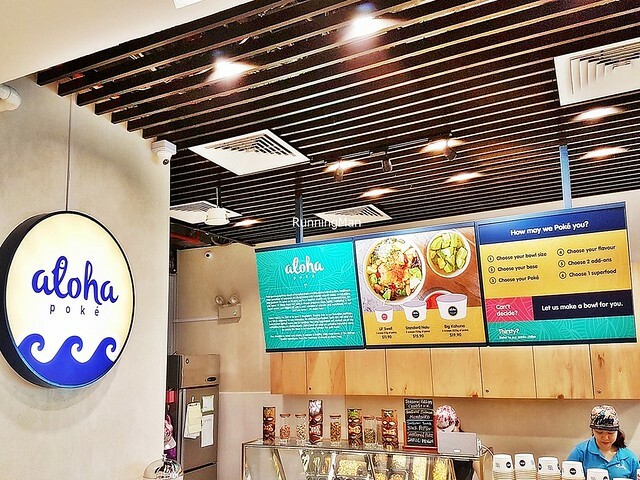 Ambience at Aloha Poké remains modern functional casual, but they benefit here from the lush greenery, ample natural sunlight, open space, and chill atmosphere. Very relaxing and welcoming, with a good amount of high tables for communal dining. 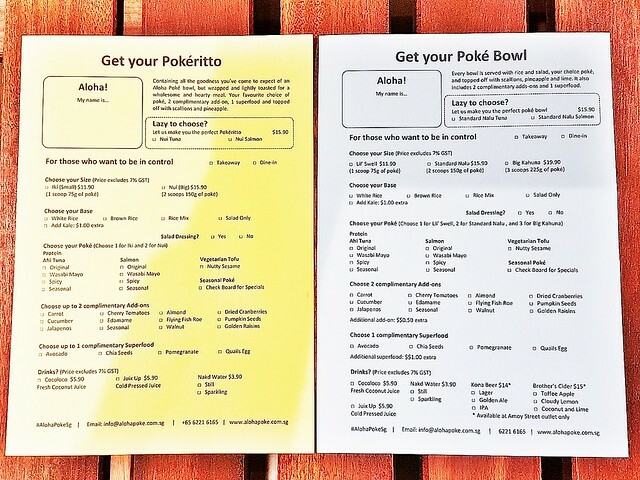 Service at Aloha Poké has changed to become tableside service, staff take and serve orders to you, though you still fill in little order chits. They also display good product knowledge if questioned. 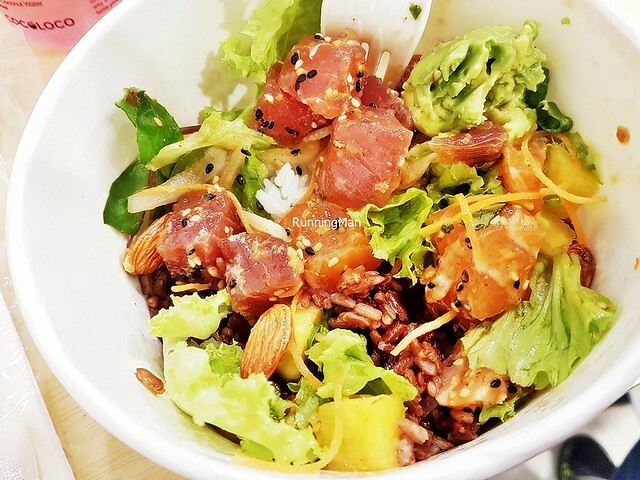 Food at Aloha Poké retains their signature Hawaiian fish salad, known as a poké bowl, but now they've greatly expanded the menu. Those dishes we tried were delicious and tasty, sufficiently filling for individuals in portion, and also rather clean and healthy. Prices are comparable to before, budget about $23 per person for a meal here. 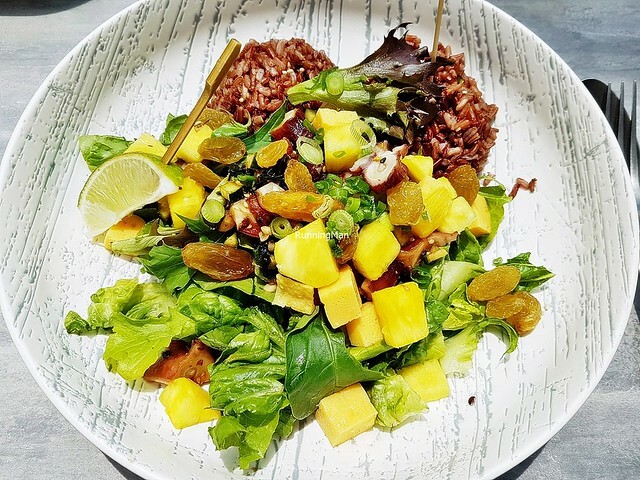 The Poké Bowl (SGD $18) - DIY - Wasabi Yuzu Octopus, Brown Rice, Salad, Golden Raisins, Tamago Egg, as a concept, has changed slightly, with only standard portion sizes now, and a fixed salad mix, with your choice of add-ons. 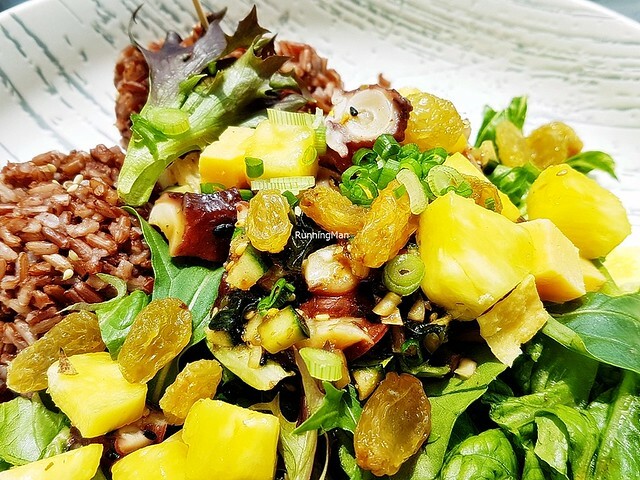 To the base salad of grainy brown rice, juicy pineapple, crunchy lettuce, and crisp chard, I added chewy golden raisins, tender tamago egg chunks, and bouncy octopus slices marinated in wasabi and yuzu. Garnished with a lime wedge. This resulted in bold, bright, layered flavours of zesty tangy sour sweet fruity earthy vegetal. Loved it. 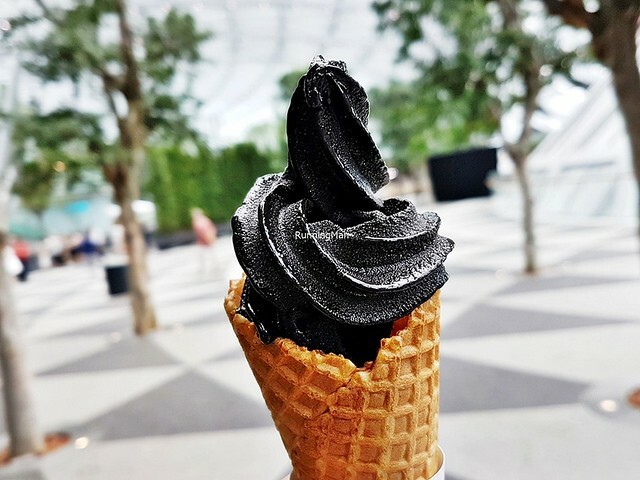 The Charcoal Coconut Sorbet (SGD $4) has a novel taste. 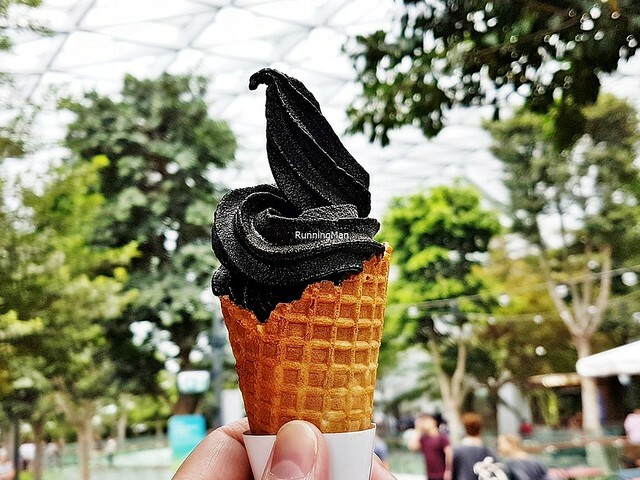 Made with charcoal infused coconut sorbet, the texture is like smooth ice with a hint of grainy, and a bold black hue. Tastes of earthy sweet coconut flavour. Good!